The 2018 GUKPT Reading is in the history books and what an incredible week of poker we witnessed. 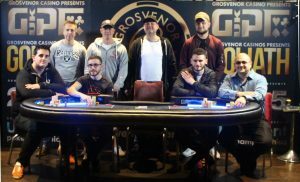 Grosvenor Casino Reading South welcomed 245 entries into the £100,000 GUKPT Reading Main Event, bumping up the guaranteed prizepool to £122,500. The winner, who choose to remain anonymous, walked away with a cool £35,100 in their pocket. Thanks to all those involved in making GUKPT Reading the huge success it was and congratulations to all those who cashed in the Main and side events. Special mentions to Gerard Crone (2nd) and Michael Rolt (3rd) who both won their seat to the £550 buy-in Main Event via the ‘Last Person Standing’ promotion, making their combined winnings of £35,000 even sweeter. 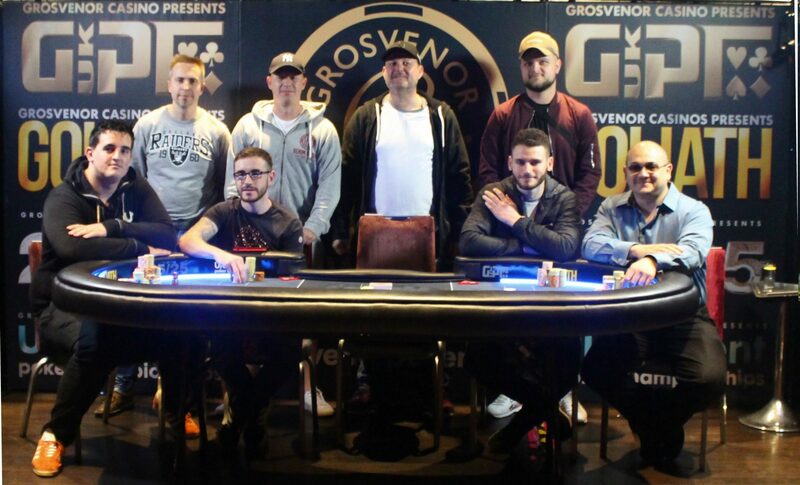 Peter Wigglesworth (4th) continues to run deep in Grosvenor Casinos events and added yet another five figure cash to his poker resume after his triumph at the 25/50 during the 2017 Goliath. Gavin Manly’s 6th place finish and £4,750 in winnings marked the end of a great week for him personally as he also took home £3,095 after winning the Mini Main event earlier in the week. Last but not least Ben Winsor (10th) put up a valiant attempt at joining GUKPT hall of famer, Julian Thew, in the three GUKPT winner’s club. There’s always next time Ben! Clock: 4 x 30min then a 20 min clock.